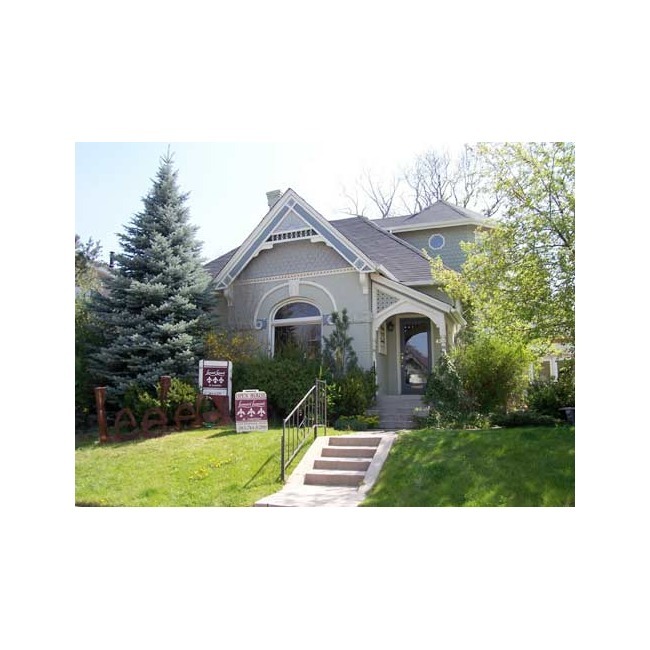 Leonard Leonard and Associates has been marketing and selling historic homes in the heart of Denver for over 27 years. Home enhances the experience of life. Time spent in a Home becomes the foundation of our lives and our memories. It is the background of all our life experiences and a treasure that we keep with us forever. It's a family of the happiest and friendliest Real Estate agents in Denver! Owner Sonja Leonard Leonard, (that's her maiden and married name) was raised with true Southern hospitality. So she wants clients to be comfortable with the buying or selling process. As you sit among hand picked antiques, the office cat, facetiously named FSBO (For Sale By Owner), is likely to purr at your feet, looking for affection. While your agent fixes you an iced tea in the cozy kitchen, notice the striking artwork - all done by Lee Lee, Sonja's daughter. If you like the feel of the Leonard Leonard office, then you'll love the properties we specialize in. We focus on historic homes in the Heart of Denver. From Victorian "painted ladies" to Turn of the Century gems to 1930s Craftsman bungalows, our clients find homes with character and charm. If you want to live in an established neighborhood within minutes of downtown, then we can find the home for you. We are adept at finding the right fit for each buyer, whether it's a Country Club mansion, Capitol Hill town home or Baker Historic District fix - up. As tough negotiators, we make sure you find the best value in your chosen area. Or, if you're looking to sell, we consistently command the highest prices for our listings. We know how to showcase your home's outstanding features so it stands out in the market. Those clients who list with us feel satisfied they've received what their home is really worth. At Leonard Leonard, we're not just Realtors, we're a neighborhood resource. So even if you're not currently looking to buy or sell your home, we're happy to help. You can call us for property tax information, public records information, real estate attorneys, contractors and more.